The popularity of bingo cannot be denied – especially today, when you can play bingo from the comfort of your own home. 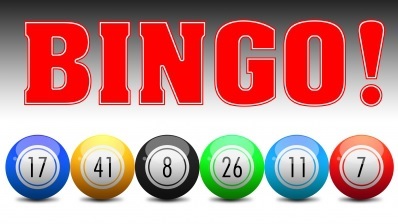 Of course, whilst everybody knows that bingo was traditionally played in halls, community centres, and clubs (and you can still do so if you prefer), it can now be played online through a variety of sites specialising in online bingo. But if you are truly interested in playing bingo online, there are certain things you have to do and steps you have to take. Here, then, is your step-by-step guide to enjoying bingo online. The first thing you have to do is look for a site where you can play bingo. As mentioned, there are plenty of those – but you also have to make sure that the site you choose is a reputable one. When you do find a good bingo site, the process of joining is quite simple and straightforward. Usually, you just have to fill in a form with certain details such as your name, your birth date, your email address, and the user name (plus password) that you prefer. When you are finished filling in your details, all you have to do is make a fund deposit and you’re ready to play. The next step is to select the bingo game you prefer. Once again, there are many choices when it comes to bingo games, and most gaming sites have dozens (even hundreds) of games lined up. Whilst one game may seem different from another, the principle actually stays the same. The only main differences include the patterns for winning a prize, the size or amount of the prize, and the theme of the game. If you are a beginner, it would be best to start off with some of the less expensive games until you are better attuned to how the games work. When you have more experience, then you can move on to the higher-stake games. When you have selected your preferred game, you can then purchase the cards that you will be playing with. Every card you purchase will have a particular quantity of numbers, so the object is for you to mark or check off the entire card’s numbers or mark them in a specific pattern. This will depend on the type of game you have selected. When it comes to purchasing your cards, you basically have two choices: how many you would like to purchase, and whether or not you would like to personally choose your cards or have them selected randomly. One tip: if you purchase more than one card, you will also have an increased chance of winning, simply because you are playing with more numbers and patterns. Now you can start playing and marking the numbers off one by one. Good luck!